In the earlier days, Google, the search engine relied heavily on text data and backlinks in order to make stable rankings through periodic refreshes. 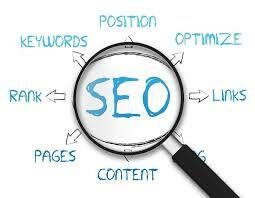 That is because these metrics are what we are typically judged by professionals SEO. Clients always want to rank higher and see their organic traffic increasing and, by association, leads and sales will also improve as well. When we choose exact target keywords, there is an appeal to go after those with the highest search volumes keyword, but much more important than the keyword’s search volume is the intent behind this. This is a quite important part of the equation that is often overlooked when content is produced, it’s really great that you want to rank for a specific term but the content has to not only be perfectly relevant but also satisfy the user intent. This article will describe not only the different categorizations of search intent, but also how intent relates to the content we generate, and how the search engines deal with the intent. Specific users have a narrow search intent and don’t deviate from it, whereas an exhaustive user may have a wider scope around a particular topic or topics. The search engines are also making strides in understanding both the concepts search intent, Google’s Hummingbird and Yandex’s Korolyov are just two examples of these. There has been a lot of research conducted into understanding the intent behind a lead or query, and this is reflected by the types of results that Google displays on the search engine page.